Spotted at Duty Free Singapore, Johnnie Walker is holding a gift with purchase promo for its beverages. For every bottle of Blue Porsche purchased, one could get a promotional leather travel bag for free! 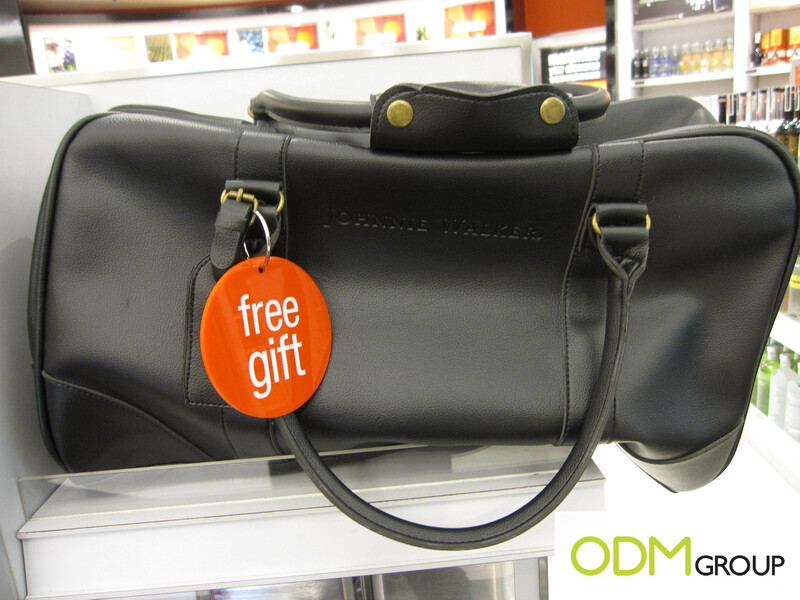 This promotional gift would be ideal for customers who just arrived at the airport. They could use this promotional product for their hand carry items and products purchased from the shop. 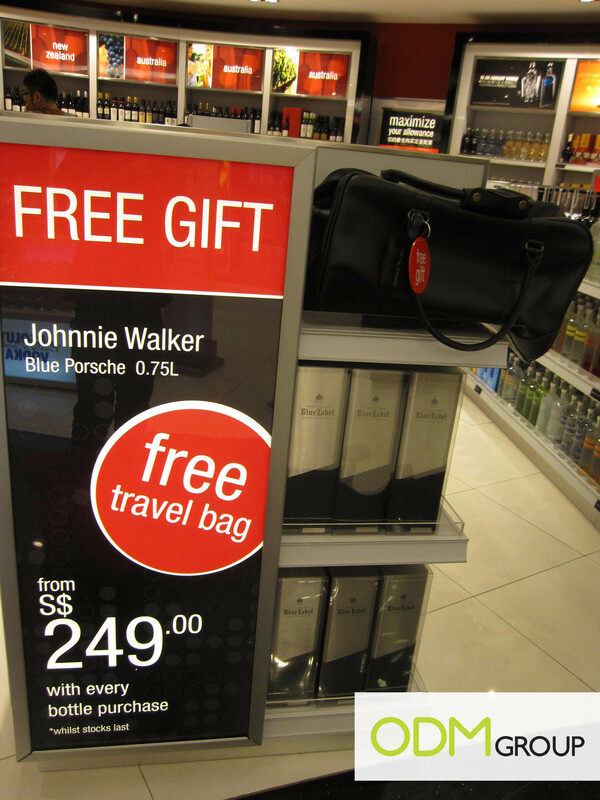 A very conventional product and this sort of promo is often seen at Duty Free Outlets. Frequent travelers would be attracted to this promotion as it makes a perfect carry on luggage. It fits most airline requirements and is the perfect size for a short trip. Johnnie Walker Promo Gift: Leather Travel Bag.. This promotional item is prominently displayed on the shelves, ensuring it catches the attention of all customers who steps in. What we like about this promo gift is that the logo is printed via embossing, creating distinct marks and adding value to the bag. Leather bags are perceived as high end items and this may be a good business gift for your clients.